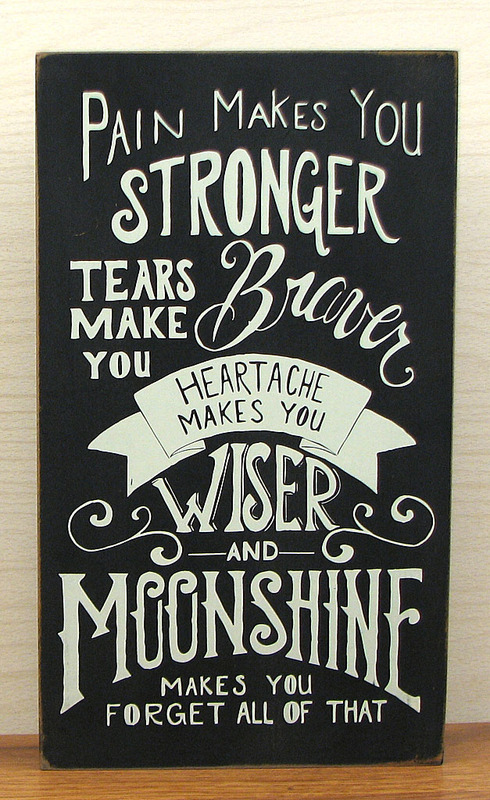 Measures: Wood Moonshine wall box "Pain makes you Stronger, Tears make you Braver, Heartache makes you Wiser, and MOONSHINE makes you forget all of that." Great for the man cave, or gift for the party person. Box can sit on a shelf or bookcase or has a slot on the back to hang. Measures: 13" H x 7 1/2" W x 1 1/2" deep.